Update: You can see play reports of some Holmes Basic D&D sessions I ran here. Like many kids in the late 70s, I started playing D&D with the Holmes Basic “Blue Box”. While the original copy I had is sadly no more, I was able to pick up a fairly cheap copy on EBay of the 3rd edition set, which includes The rulebook (with chit s instead of dice), the monochrome cover B1 module, and the Monster & Treasure Assortment. After reading through the rulebook, I was inspired to modify the character sheets I’ve previously posted just for Holmes Basic. They have some changes to reflect the rules particular to this version of D&D, including the simplified encumbrance (which I really like, and may incorporate into my other games – tracking the exact weight of equipment and treasure is a fun-sucking exercise). As in OD&D, all weapons in Holmes do 1d6 damage, so their isn’t a need for a spot to list weapons and the damage they do, merely having them in the equipment list on the character sheet is enough. There were some surprises with this set that I never noticed years ago. The rule allowing two attacks per round for light weapons (i.e. daggers) seemed out-of-place, given no variable weapon damage rules are presented. I don’t ever recall playing with that rule, and I guess I’m not alone, a quick search revealed a consensus that this was probably an editorial error, and that few people use it. The wording in places was rather confusing for what was supposed to be an introduction to D&D, examples would be the “Adjusting Ability Scores” section on page 6, and the weirdly detailed rules for throwing oil flasks. The example of play on page 40 doesn’t seem very useful – it glosses over surprise and combat, although in fairness it was probably just designed to show how the DM interacted with the party caller. 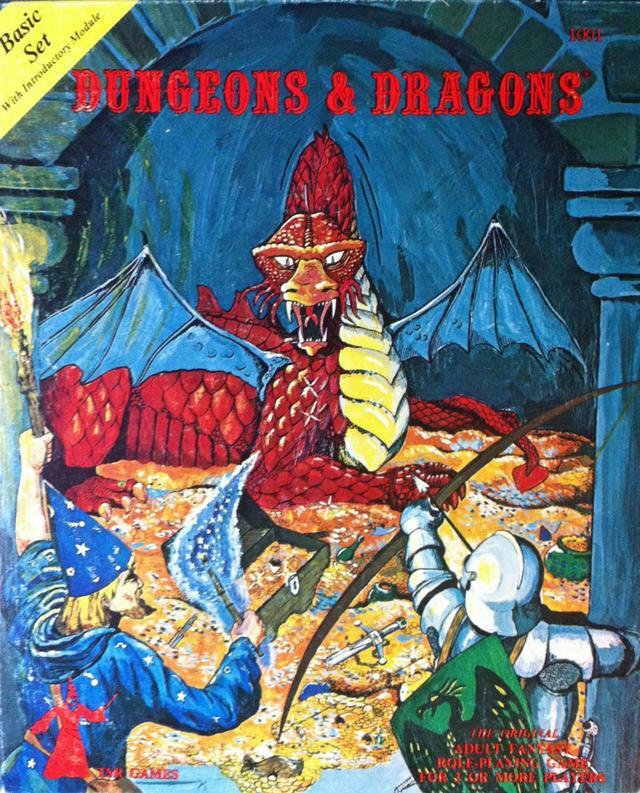 Perhaps it was more useful in the 70s when these games were new and the use of a caller was more prevalent.Still, reading this version of Basic D&D will spark your imagination, it has a decidedly unique feel.